This past weekend, the weather was beautiful. Aside from Adam studying, we took every chance we could to step outside and enjoy the warmer weather. It's funny how warmer weather, greener grass, and blooming flowers can give you a renewed spirit. I love going to the market to buy fresh flowers, wearing vibrant, printed tops, and taking Summit on long walks. It may sound boring...but those are the moments I enjoy the most. 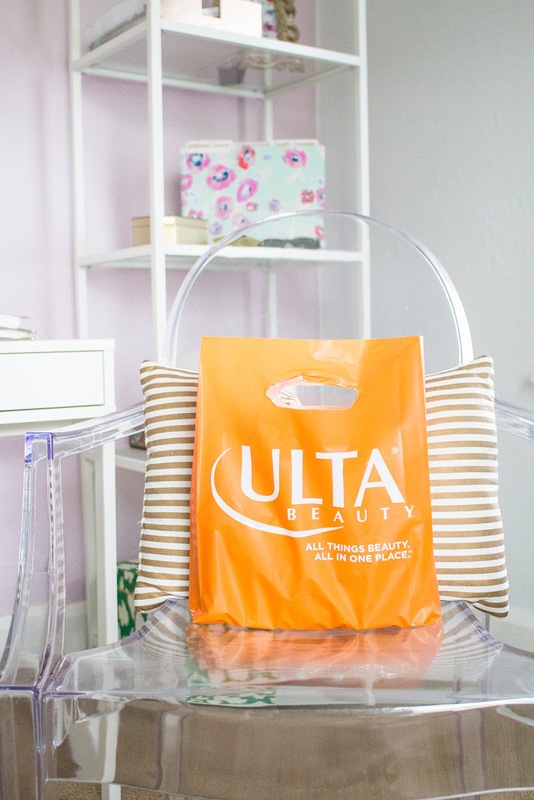 There is nothing better than wearing a top that is figure flattering and comfortable. My favorite style is the peplum; a top that accentuates the smallest part of your waist, but disguises love handles and that not so friendly front "pooch." 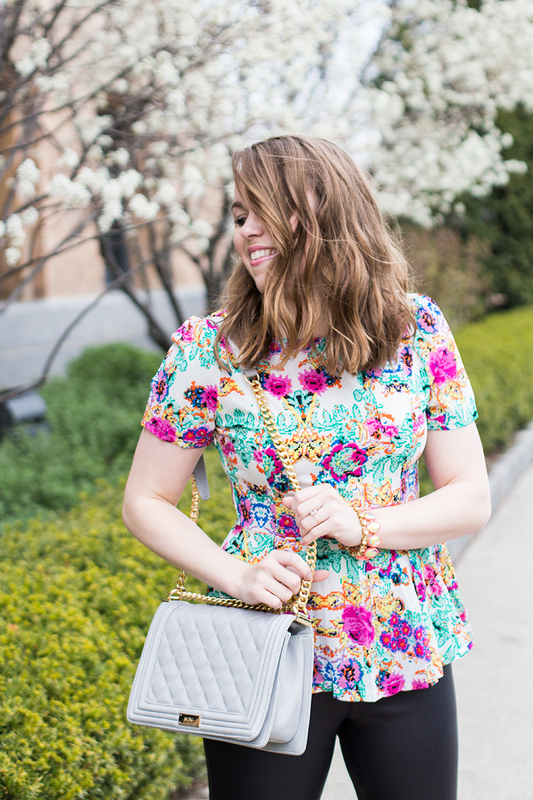 Once again, I scored this printed peplum top at buried in the racks at Nordstrom Rack. 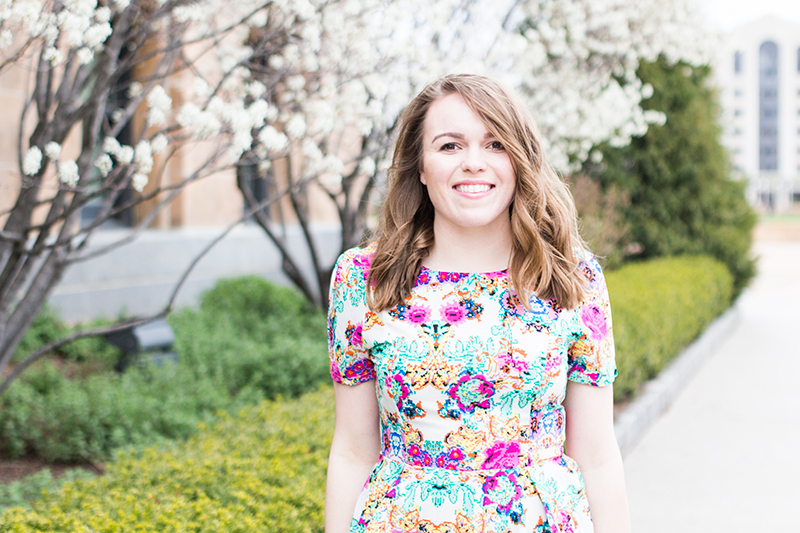 The print is perfectly vibrant for spring and I have paired it with my favorite scuba leggings and skinny jeans for a more casual look. The exact top I am wearing is not online. I have yet to find the brand anywhere online. Once I do some digging, I will share where you can purchase it. 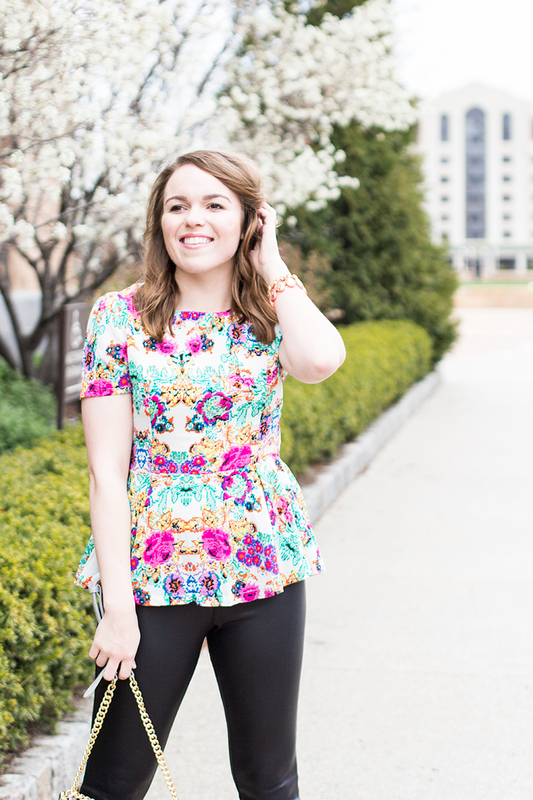 Until then, see some more adorable peplum options below!